Very Good. 'Rich Dads Who Took My Money? ' reveals how to speed up and maximise return on investments to achieve total financial independence. Trade paperback (US). Glued binding. 243 p. Contains: Illustrations. Rich Dad's (Paperback). Good. 'Rich Dads Who Took My Money? ' reveals how to speed up and maximise return on investments to achieve total financial independence. Trade paperback (US). Glued binding. 243 p. Contains: Illustrations. Rich Dad's (Paperback). New. Trade paperback (US). Glued binding. 243 p. Contains: Illustrations, black & white, Line drawings, black & white. Rich Dad's (Paperback). 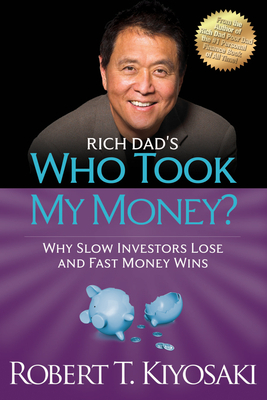 All Editions of Rich Dad's Who Took My Money? : Why Slow Investors Lose and Fast Money Wins!